On 19th July 2016, Steve Austin, ABC 612, interviewed Ms Sarah Corcoran, Director of the National Red Imported Fire Ant Eradication Program about why the eradication program has been such a failure. The Fire Ant Eradication Program is managed by Biosecurity Queensland which is part of the Queensland Department of Agriculture and Fisheries. Steve reminded his listeners that the National Fire Ant Eradication Program has cost over $350m of taxpayer money so far, only to see fire ants spread ten-fold and the scientific review of the program in 2009 said it was NOT eradicating fire ants. Fact Check: The 2009 scientific review of the program ‘concluded that fire ants cannot be eradicated from Brisbane using current techniques…(and the program) has not been on a path towards eradication since about 2004/05’. They said surveillance methods were not detecting new infestations and fire ant were recurring in key areas that had been treated. With more than a note of ‘we told you so’ they said, ‘Like the review team of 2002, we recommend that the eradication program revert to a program of suppression and containment,’ while the program develops other techniques. Fact Check. The fire ant program has neither delimited the infestation nor contained its spread. In 2009 the scientific review team was aghast that the infestation was by then covering ‘an all-time high of 93,000ha’, up from the 28,000ha it had been at the beginning. Since then, the fire ant infestation has spread steadily. The Fire Ant Biosecurity Zones map of July 2016 shows 280 suburbs, including suburbs that Biosecurity Queensland had previously declared fire ant free, covering more 300,000ha stretching from the Bay to the Lockyer Valley. Ms Corcoran said that if it wasn’t for the investment in the eradication of fire ants for the past 15 years the problem would be worse. She said the level of infestation in south east Queensland is nowhere near as bad as in the USA and the program has kept fire ants out of our food production areas in the Lockyer Valley. Fact Check: As of 1 July 2016, there are fourteen suburbs within the Lockyer Valley Regional Council area infested with fire ants: Summerholm, Glenore Grove, Crowley Vale, College View, Forest Hill, Plainland, Laidley North, Laidley, Laidley South, Laidley Heights, Glen Cairn, Lawes, Woodlands, Blenheim. Fire ants have been in the Lockyer Valley for at least five years and the Regional Council is not happy about fire ants or Biosecurity Queensland. In July 2011, the late Mayor of the Lockyer Valley Regional Council, Steve Jones told the Gatton Star that he was concerned about the level of help from the State Government …..with fire ants spreading into an important horticultural area. In November 2012, the Gatton Star reported that Mayor Jones was slamming the fire ant eradication process in the Lockyer Valley and he questioned the efficiency of Biosecurity Queensland. He said until Biosecurity Queensland was “fair dinkum” it would never stop fire ants. Ms Corcoran said that because south-east Queensland was realising the benefits of the eradication program more rapidly than our cost share partners in the other States and Territories, the Queensland Government has been contributing an additional $3m per year. 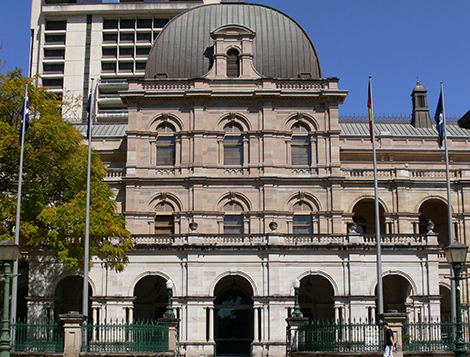 Fact Check: The Queensland Government has been contributing a little more than its share of the cost because the program is no longer in a formal eradication cost share arrangement with the Commonwealth and other States and Territories and because Western Australia and New South Wales have withdrawn from the cost share arrangement. Ms Corcoran said because the infestation in south-east Queensland was spread over a broad area, Biosecurity Queensland was using remote-sensing surveillance (helicopter mounted heat sensing cameras) to detect fire ant mounds. She proudly announced that this novel technique is not used anywhere else in the world and that Australia was setting the standard. Fact Check: The reason other countries do not use remote-sensing technology to find fire ant mounds is because it doesn’t work. The science review of 2009 said the program could not eradicate fire ants because it could not find them. When Biosecurity Queensland said it would solve that problem with remote-sensing surveillance technology, the review panel cautioned that it was likely to identify cow pats, rocks and other warm things as nests and miss actual nests. Which is exactly what happened. While Biosecurity ‘tested and adjusted’ the remote-sensing surveillance technology, as Ms Corcoran said, to find fire ants, fire ants spread from the ‘all time high of 93,000ha’ in 2009, to over 300,000ha now. Between 2010 and 2015, the remote-sensing surveillance technology found eleven nests and it appears that there has been no remote-sensing surveillance in 2016. Steve then asked Ms Corcoran about fire ants re-infesting the Port of Brisbane and the Brisbane Airport; areas that Biosecurity Queensland had declared fire ant free. He also asked if other northern or Bay-side suburbs had become re-infested. Ms Corcoran said that she did not believe so. Fact Check: Between August 2015 and July 2016, Pinkenba, Lytton, Nudgee and Nudgee Beach were re-instated on Fire Ant Restriction maps, along with the Port and the Airport. Steve Austin then asked Ms Corcoran what Biosecurity Queensland was doing about the re-infestation of the Brisbane Airport. Ms Corcoran said a vigilant member of the public had identified fire ants at the airport. Biosecurity Queensland had placed a zone around it and was asking businesses in the area to ensure they do not move these ants. Steve Austin exclaimed, ‘You’re asking businesses in the area of the airport to run a containment program!’ He then sought to clarify with Ms Corcoran the impact of the new Biosecurity Act (which came into effect 1 July 2016) on businesses and citizens. Steve noted that the Act requires businesses and citizens to assist in not spreading fire ants. Ms Corcoran agreed that was correct. He then observed that the Act gives the Director-General of the Department the power to appoint or employ private biosecurity consultants and asked Ms Corcoran ‘is that right? Ms Corcoran agreed that was a potential method for the Queensland Government to implement biosecurity. Steve Austin reminded his listeners that in 2001 fire ant experts from the USA recommended that the Queensland government implement an aggressive containment program. With $350m of public money, the Queensland Government did not do and the infestation is now ten times what it was at the beginning. Having failed to contain the spread of fire ants, the new Biosecurity Act allows the Queensland Government to push the responsibility and cost of containing the spread of fire ants back onto businesses and citizens. Thank you Steve Austin ABC 612 Brisbane.